Beautiful Luxury Estate in Mulholland. 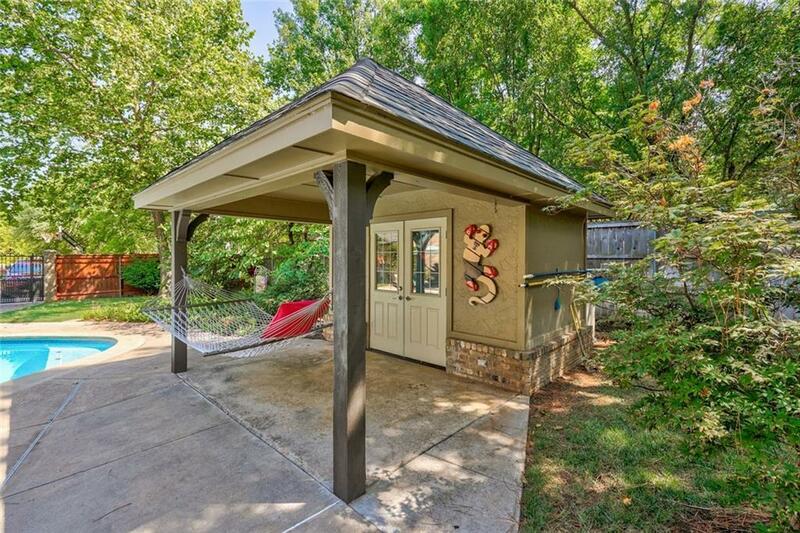 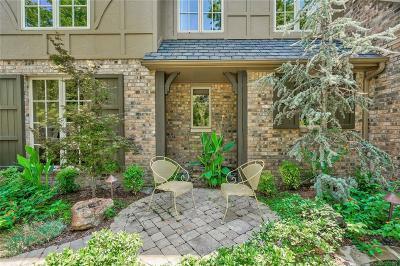 Coveted corner lot with lovely view of lake from front of home. 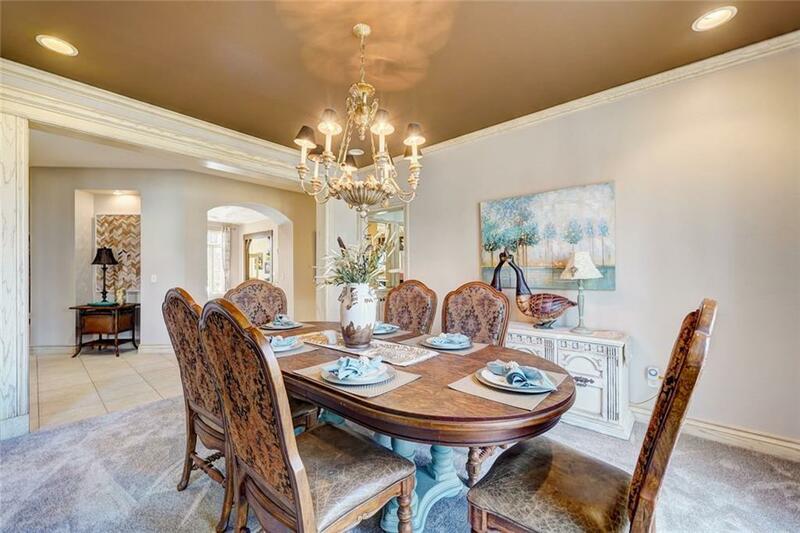 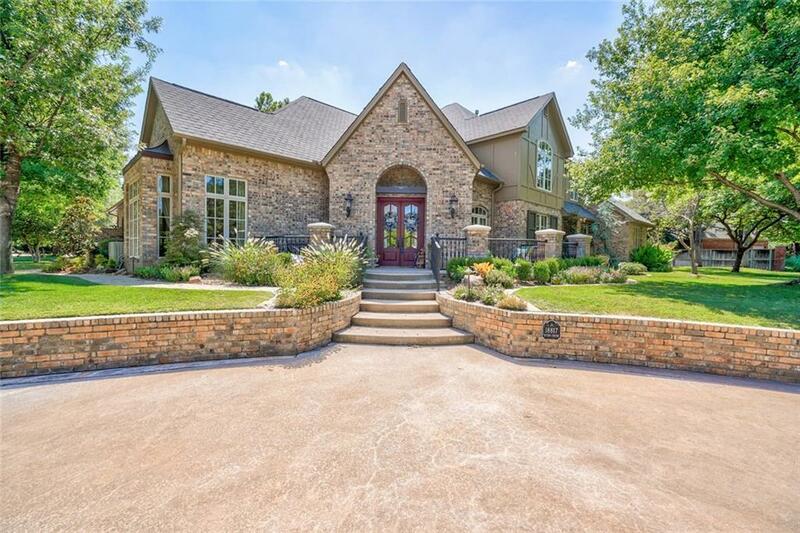 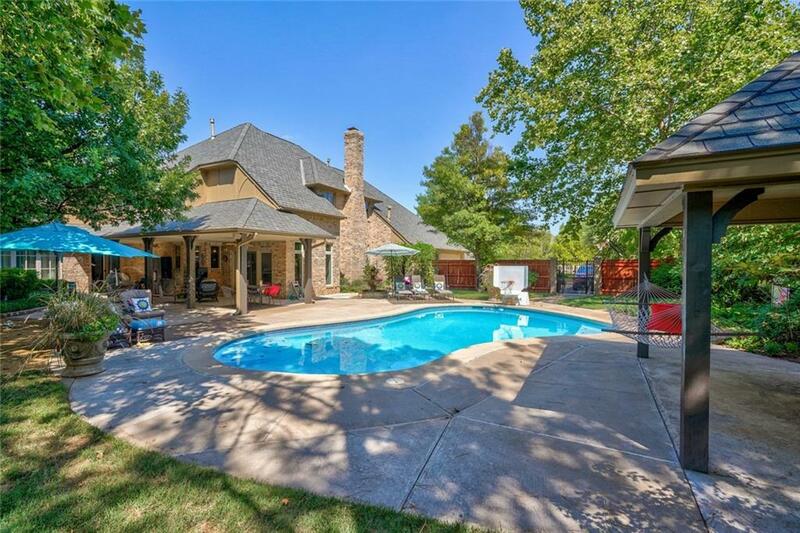 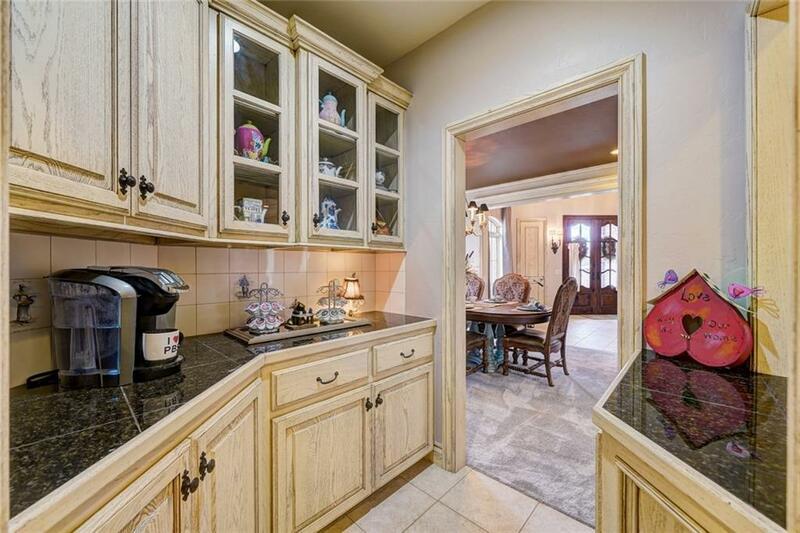 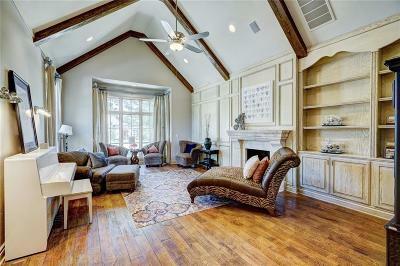 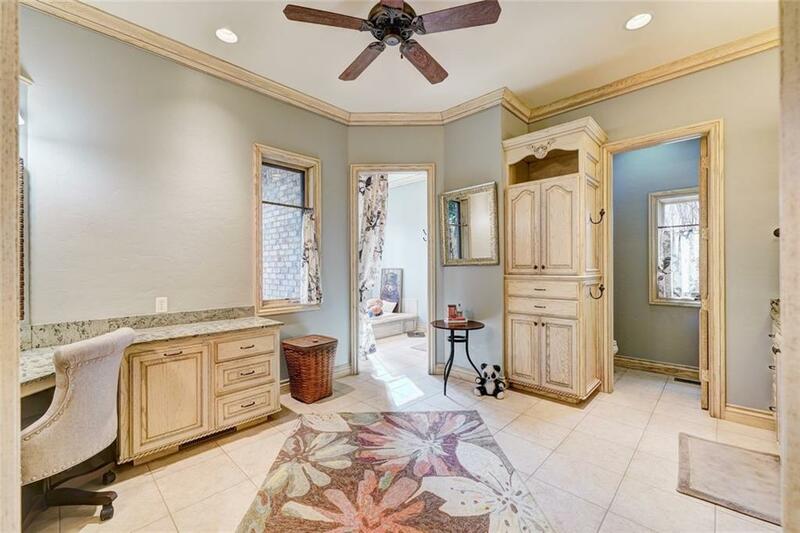 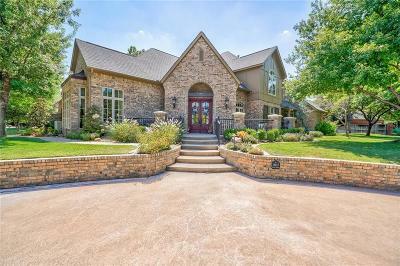 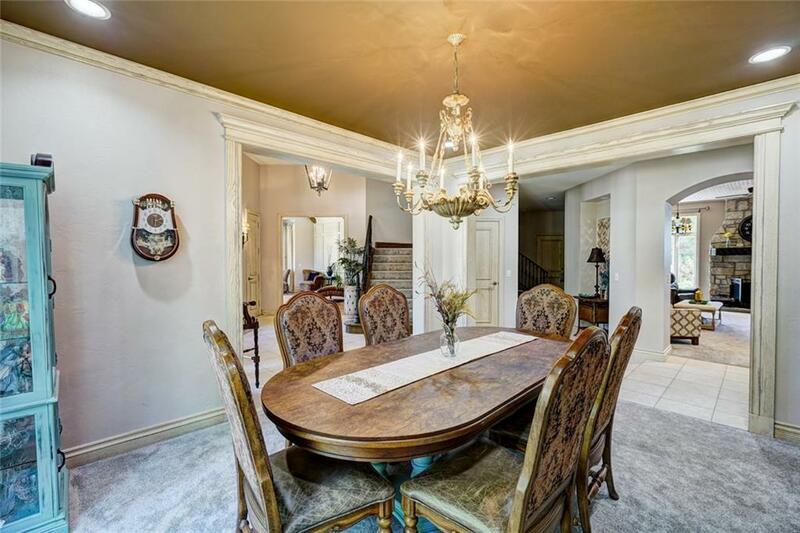 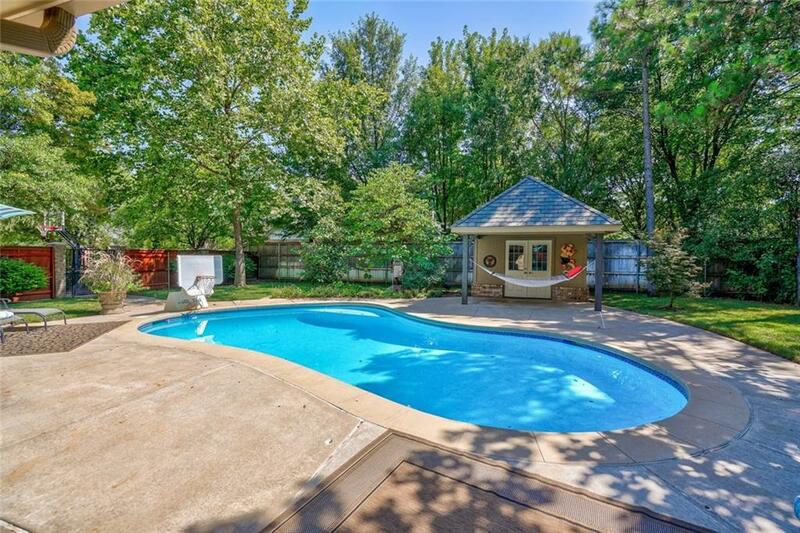 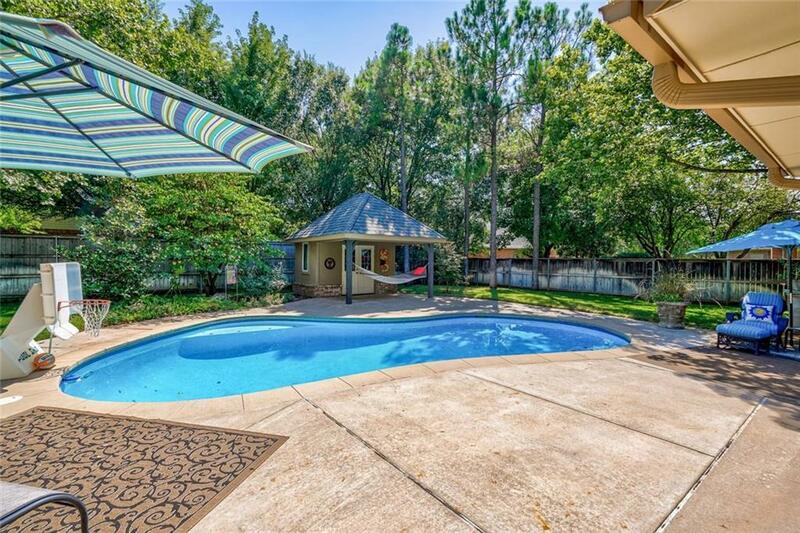 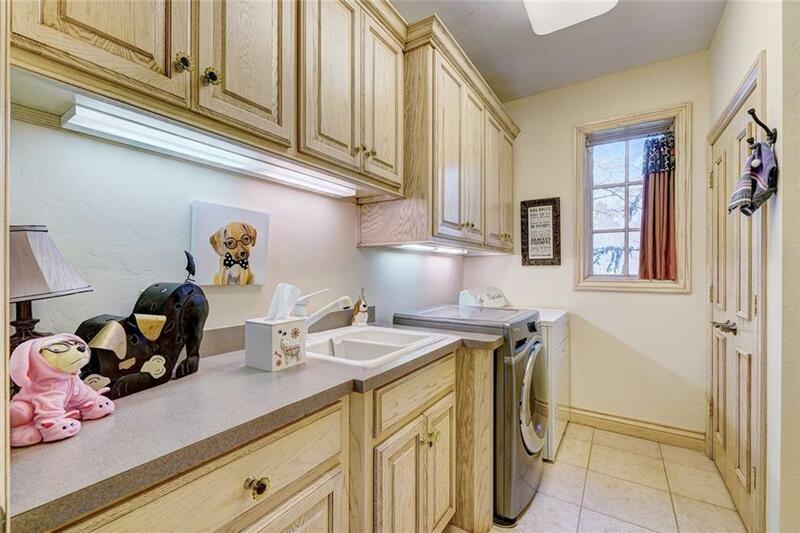 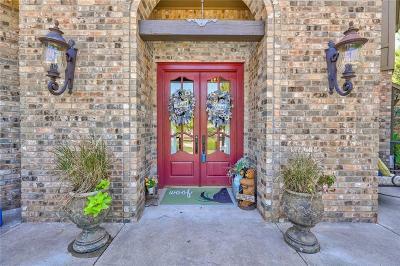 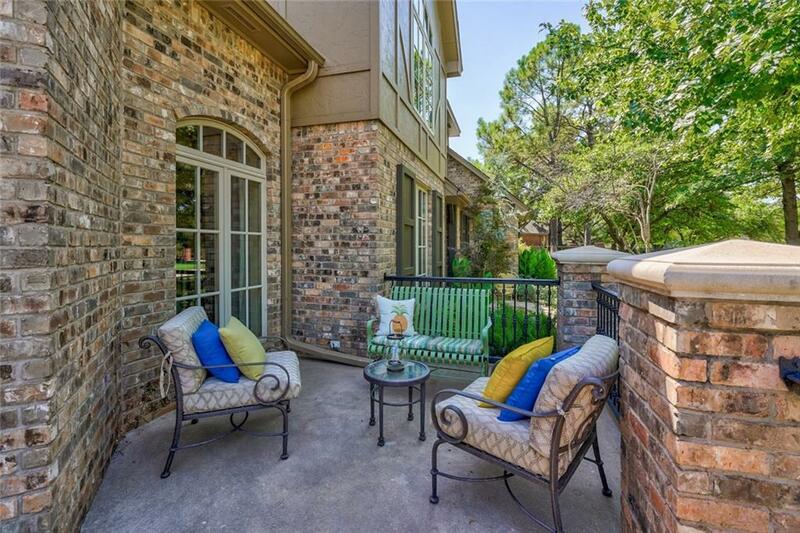 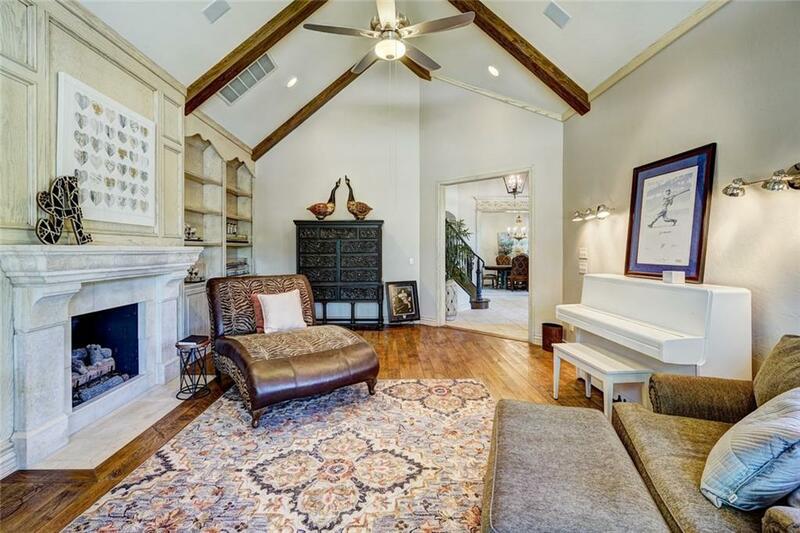 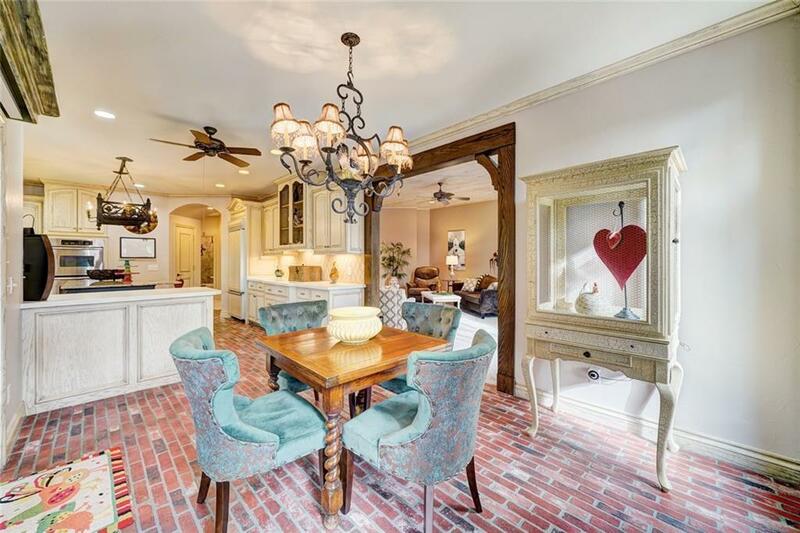 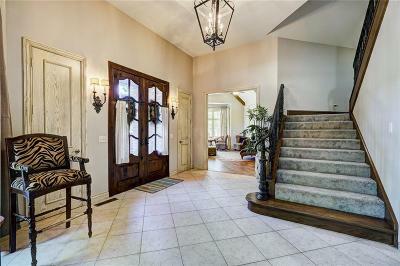 Located in one of the few gated and guard monitored neighborhoods in Edmond. 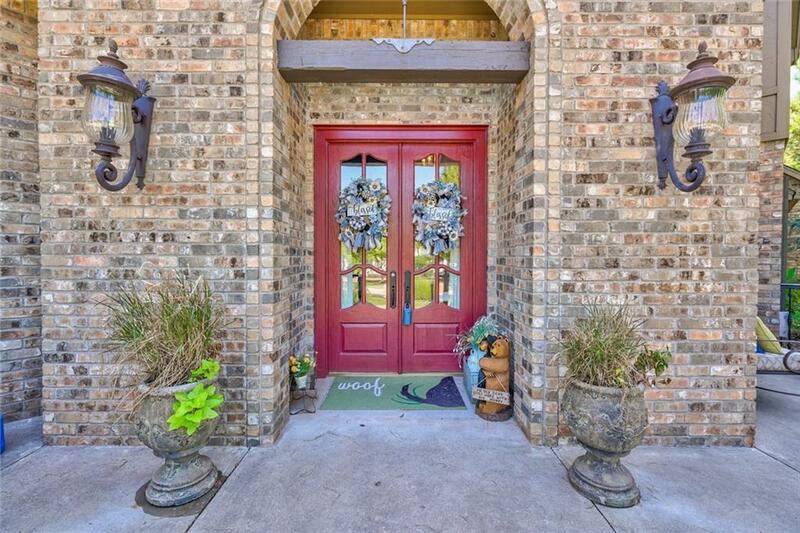 2019 carpet installed downstairs and on staircase, 2019 interior and exterior paint, 2019 garage floor paint,2018 extensive landscaping. 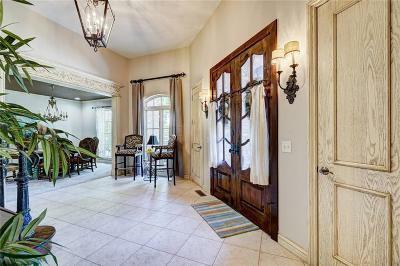 Stunning interior dÃ©cor and inviting outdoor patio showcasing fabulous pool area. 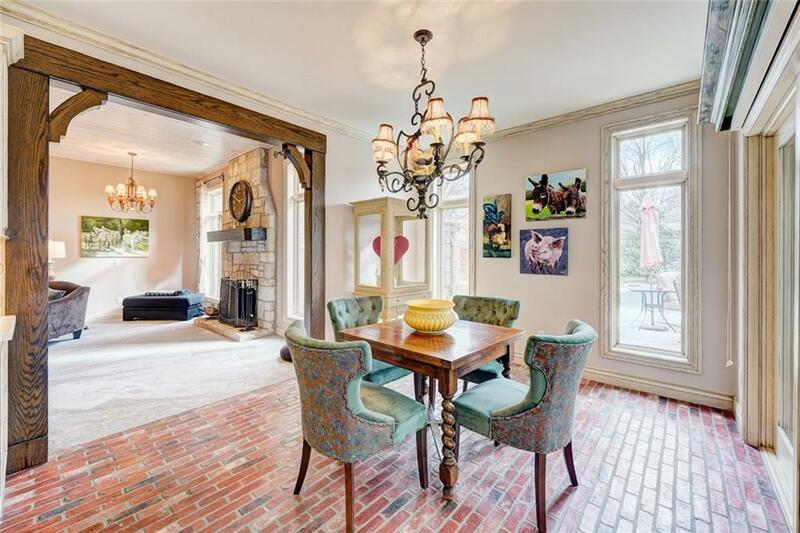 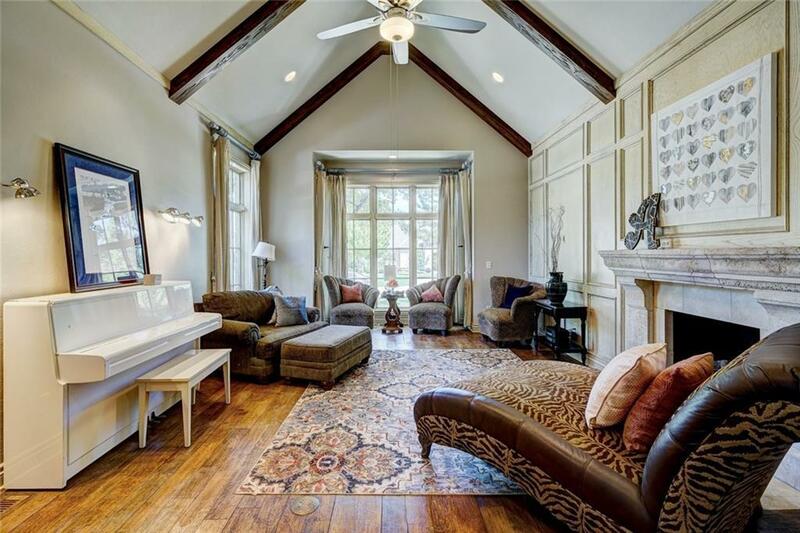 Formal living room with wood floors,Cast Stone fireplace, vaulted beam ceiling and large east windows which let in lovely morning sunlight. 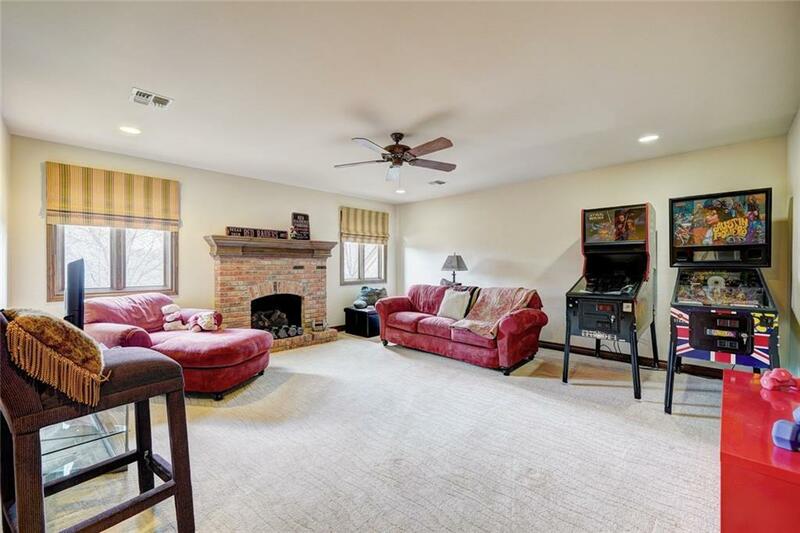 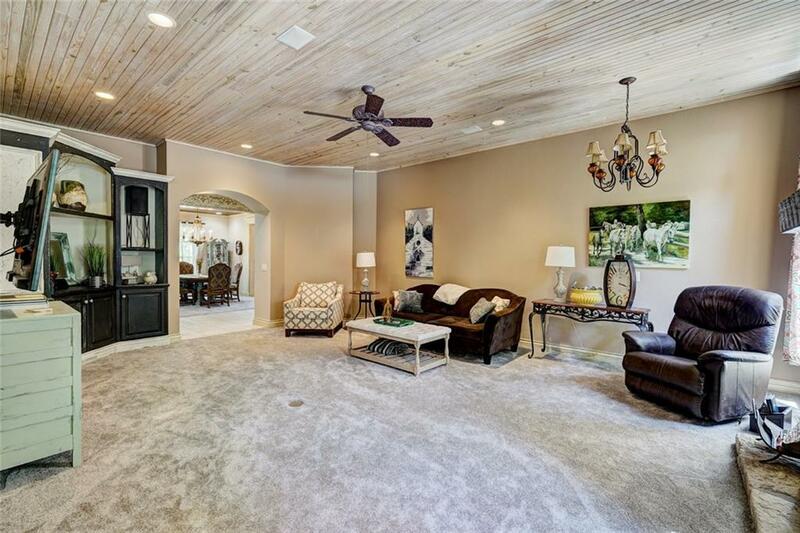 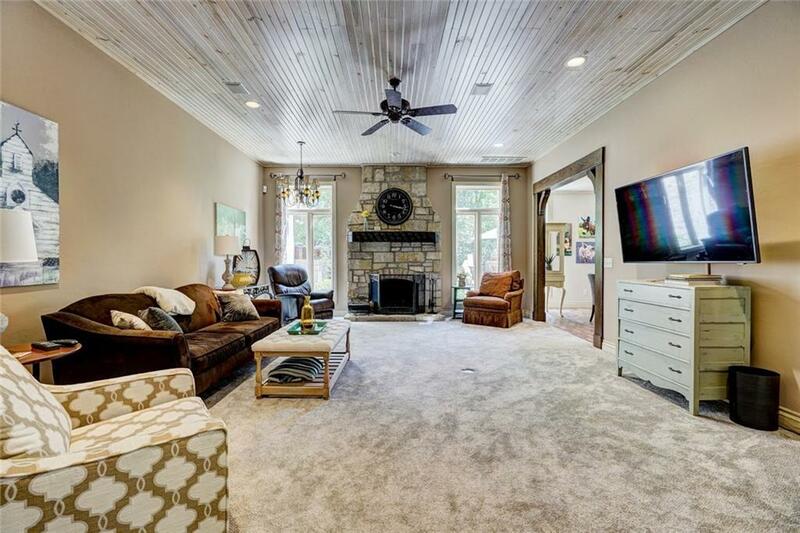 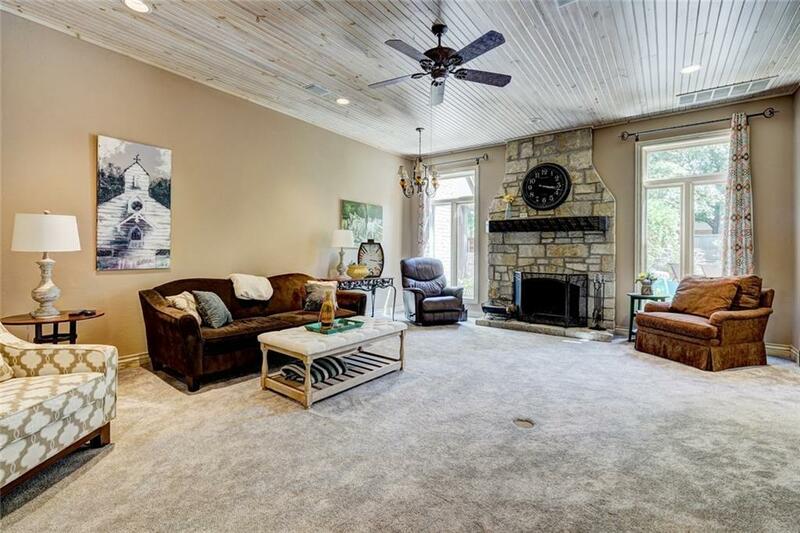 Family room with unique wood planked ceiling and charming built in entertainment system. 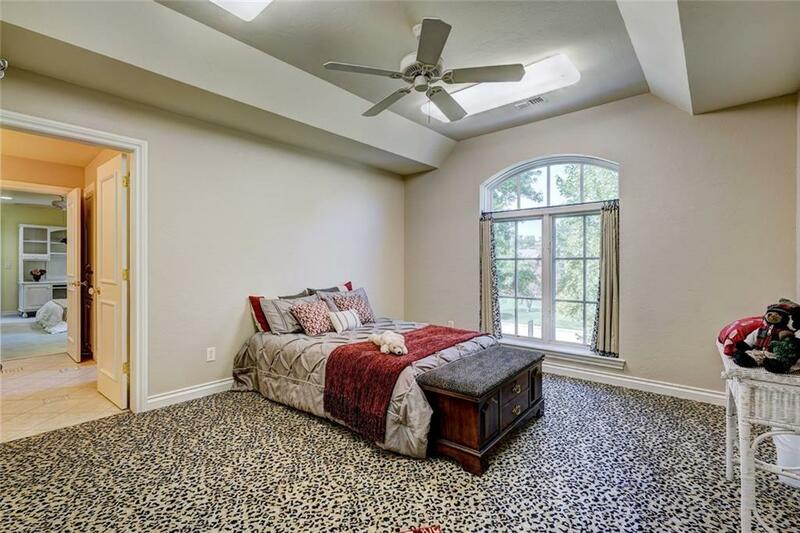 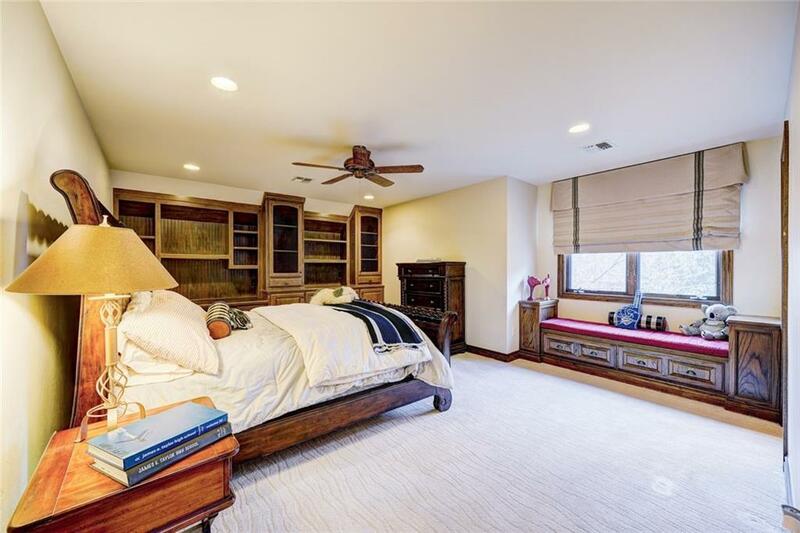 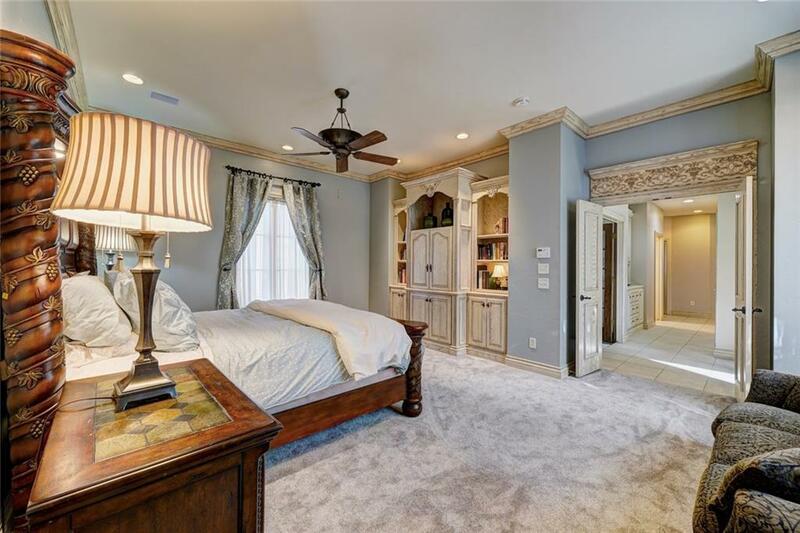 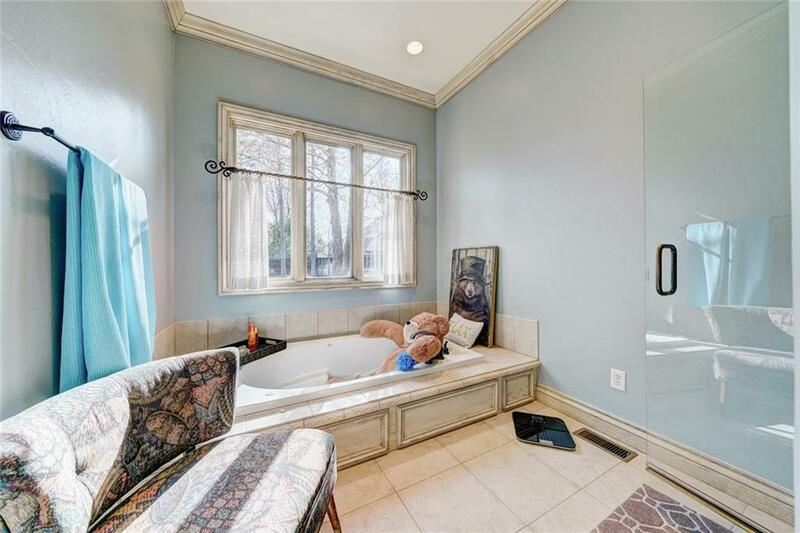 Master bedroom with sitting area features your own private retreat including Ensuite with private soaking tub, shower, double sinks and make up area. 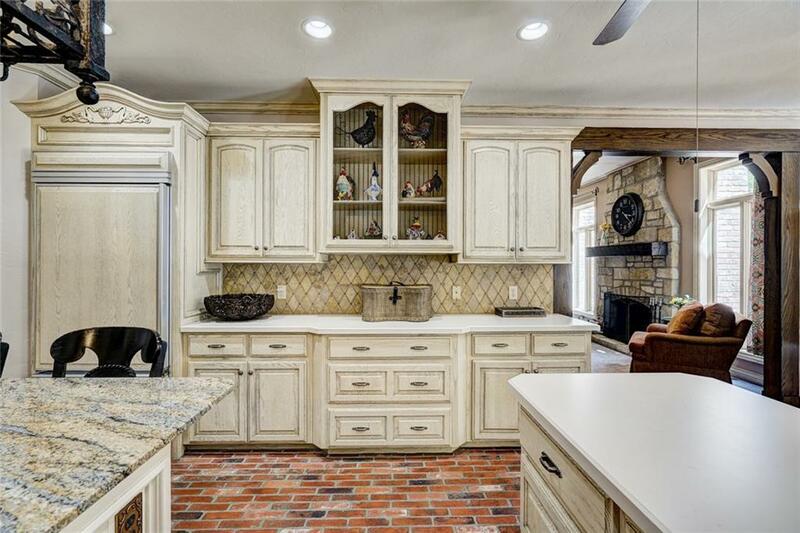 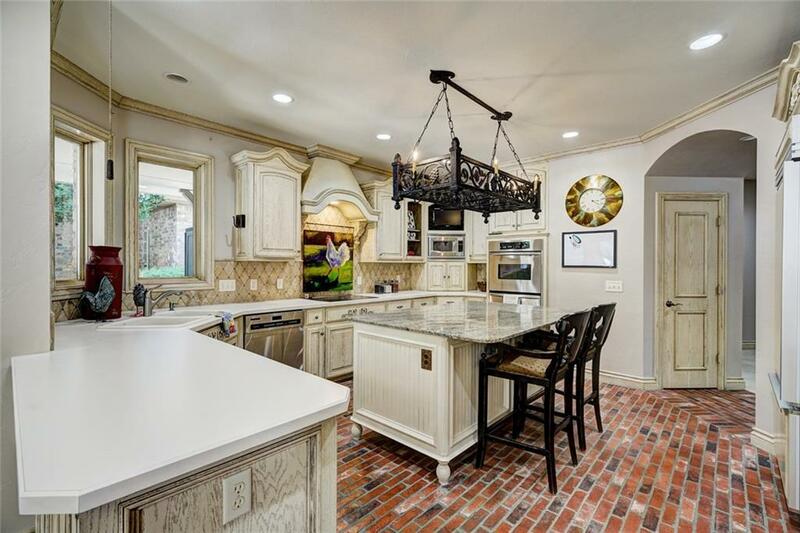 Cooks kitchen centers around large granite center island, double ovens, ice maker, tons of counter and cabinet space, large pantry. 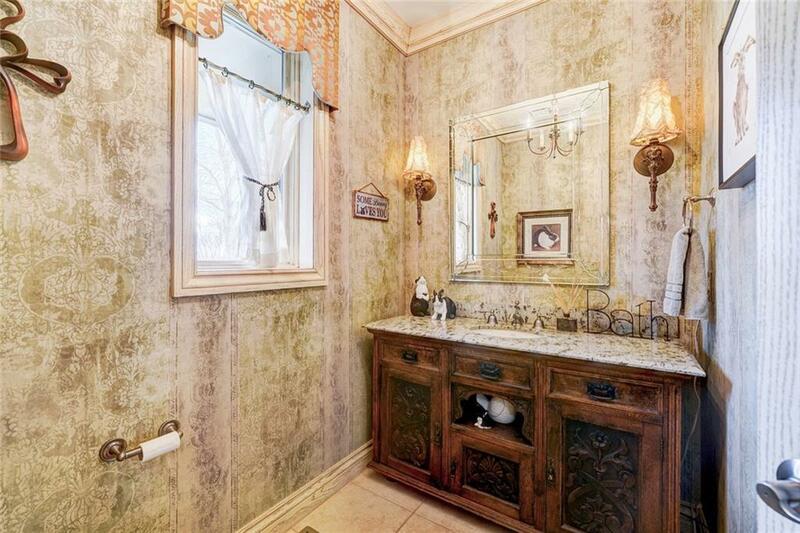 Intriguing details in each room make each one a delight to explore.